Jeffrey Dahl’s gallery of the 2010 SOVREN Fall Finale at Pacific Raceways in Kent, WA. Bob Pengraph’s gallery of images from the 2010 Pacific Northwest Historic Races held at Pacific Raceways in Kent, WA on Jul2-4, 2010. 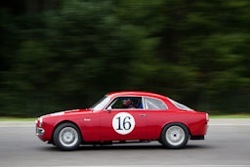 Jeffrey Dahl’s gallery of the 2010 SOVREN Pacific Northwest Historics. 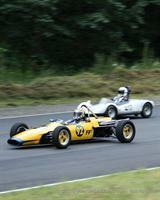 The event was held on July 2-4 at Pacific Raceways in Kent, WA. Bob Pengraph’s gallery of images from the 2010 SOVREN Spring Sprints held at Pacific Raceways, Ken, WA on May 15-16, 2010. Jeffrey Dahl’s gallery of the 2010 SOVREN Spring Sprints. The event was held on May 15-16 at Pacific Raceways in Kent, WA. Bob Pengraph’s gallery of images from the 2010 SOVREN Defrost Kickoff held at Pacific Raceways, Kent WA on April 10-11, 2010. What a great way to start the SOVREN racing season. Two days of beautiful weather and a good turn out of cars. Bob Pengraph’s gallery from the 2009 SOVREN Fall Finale held on Sep 19-20, 2009 at Pacific Raceways in Kent, WA. The weather is still sunny as SOVREN holds the final event of the racing season at Pacific Raceways (PR). This event, the Fall Finale, is an annual event with approximately 140 pre-1970 racecars that have been restored to mint condition. This race is highlighted with some unusual types of races, including LeMans style starts, One hour Enduros, Lollipop Starts, and Handicap races. Jeffrey Dahl’s gallery of the 2009 SOVREN Fall Finale. The event was held on September 19-20, 2009 at Pacific Raceways in Kent, Wa. Walt Ottenad’s gallery of Sunday action at the 2009 NHRA NW Nationals at Pacific Raceways. 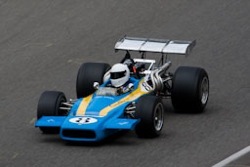 Bob Pengraph’s photos of the 2009 Pacific Northwest Historic Races. The Pacific Northwest Historics features many of the world’s rarest and most beautiful pre-1970 race cars. Most have been restored to mint condition and a handful retain the patina earned while racing years ago. This year, more than 250 vintage race cars from all over the West Coast and Canada are expected to participate. Fan favorites include Ferraris, Lotuses, Cobras, Corvettes, Porsches, Austin Healeys and some less recognizable names like Elva, Ginetta, and McLaren; many with impressive racing histories. Some of the cars are valued at over $1 million, but the high values don’t hold back the owners and drivers – most cars will exceed 100 mph and some over 150 mph during the wheel to wheel competition. The Pacific Raceways circuit is a challenging 2 ¼-mile road course that includes nine turns, a 300 foot elevation drop and a near ¾-mile straightaway. Spectators are welcome in the paddock area and encouraged to take a close-up look at the cars and visit with the drivers. Jeffrey Dahl’s gallery of the 2009 Pacific Northwest Historics at Pacific Raceways. 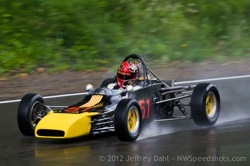 Jeffrey Dahl’s gallery of the SOVREN Spring Sprints at Pacific Raceways. Walt Ottenad’s gallery of the SOVREN Defrost Kickoff at Pacific Raceways. Bob Pengraph’s gallery of the 2009 SOVREN Defrost Kickoff at Pacific Raceways in Kent, WA. 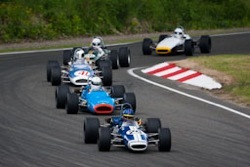 SOVREN, the premier vintage racing organization in the Northwest, holds the first spectator event of the racing season at Pacific Raceways (PR) each April. This event, the Defrost Kickoff, is preceded on Friday with training for new racers. Two full days of racing follow on Saturday and Sunday, allowing drivers to shake off the winter cobwebs and test out their race cars on the track after a winter of preparation. Over 100 cars are expected, with racing taking place from 9:00a.m. to 4:00 p.m. on Saturday and 9:00 a.m. to 4:30 p.m. on Sunday. Jeffrey Dahl’s gallery of the SOVREN Defrost Kickoff at Pacific Raceways. 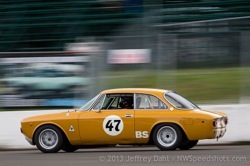 NW Speedshots welcomes our newest member, Jeffrey Dahl, with a great gallery of vintage racing at the SOVREN Pacific NW Historics at Pacific Raceways. Keith Frieser qualifies at the Pacific Northwest Historics at Pacific Raceways, Kent, WA on June 30th, 2007. Video captured with a ChaseCam PDR100. Woody Perkins hustles his Porsche 935 around the Pacific Raceways road course at the 2007 SOVREN Pacific Northwest Historic Races. Video was captured with the ChaseCam PDR100.